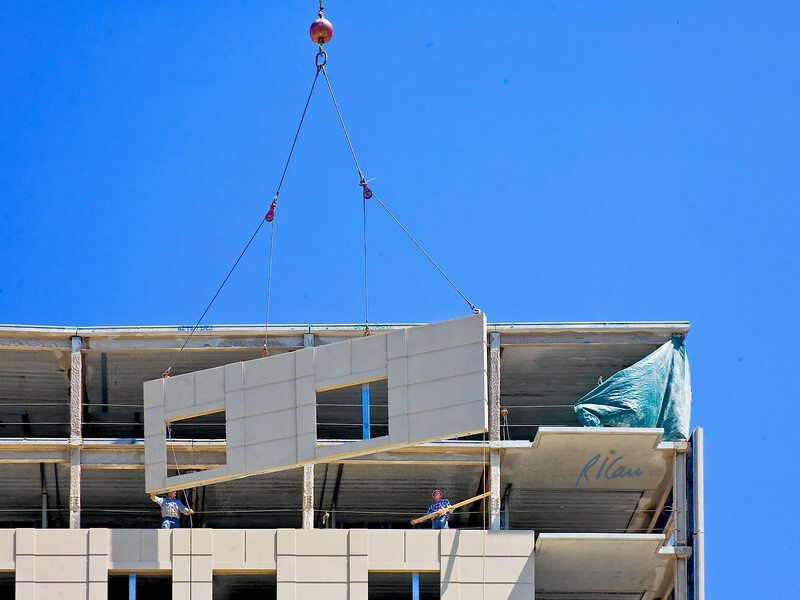 Manitowoc crane lifts precast concrete panel cladding panel into position on west side of midrise residential building. Worker on left pulls panel toward building with tag line and his hand and worker on right reaches out with 2x4 lumber to pull right side tag line so he can reach it. Ashley Terrace, Ann Arbor, Michigan April, 2007.